June 30, 2014 - PRLog -- This book tells the remarkable story of a young prince who renounces his wealth and power to become a wandering monk and leader of the Jain religion. Mahavira imagined a world where no one gets hurt, a world where no one is teased or bullied, a world where there is no fear or anger. Today, more than 2,500 years later, over 10 million Jains follow Mahavira’s example. 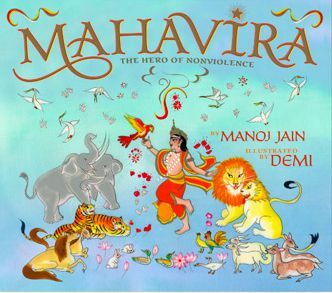 Beautifully brought to life by award-winning illustrator, Demi, let the story of Mahavira’s belief in compassion and nonviolence inspire you as he inspired the visionary leader Mahatma Gandhi, who in turn inspired Martin Luther King, Jr.